Sarkozy spoke of this in 2007. Whether we like it or not, the Arab Spring is completely detaching north Africa from the rest of the continent, and in some respects, the “new border” is northern Mali. This is a clear and coherent strategy that the west is in the process of implementing. “Between 1960 and 2005, France launched 46 military operations in its former colonies in Africa“. Since then the total number of military interventions has grown. The pattern continues, most notably with the assault and seizure of Gbagbo in Ivory Coast and the installation of Ouattara as President there, and the current operation in Mali. The current French intervention is called operation Serval, after the species of cat, but has been nicknamed operation hissyfit by some. The US has engaged in military training in Mali since 2003, but it does not seem to have helped Mali’s army much. So far the only accomplishment of US training has been to train Captain Sonogo, who then made a coup in Bamako which weakened the country and helped enable the Islamists to take over in northern Mali. Bruce Whitehouse provides valuable background to the present political situation in Mali. He describes how Mali’s democracy had been hollowed out over time, and that the majority of the people in Bamako supported the coup when it occurred in March 2012. Most people saw the government as corrupt. Touré’s ‘rule by consensus’ became a euphemism for the suppression of political debate and a trend towards absolutism. Checks and balances existed only on paper. Journalists were afraid to challenge the president’s agenda, especially after five of their colleagues were arrested in 2007. We cannot say that the war in Mali is primarily about natural resources, Western meddling, or religion. We can say, however, that it is a direct consequence of state failure, which as I have argued elsewhere came about largely due to factors internal to Mali. My experience as an anthropologist has made me suspicious of reductionist theories and grand narratives of history, from Marxism to dependency theory to modernization theory. The notion that what’s today playing out in Mali is the product of a “great game” between major powers ignores the realities on the ground there. It is not a product of a great game, but the near collapse of Mali’s governance provides an enticing playing field for the gamers. 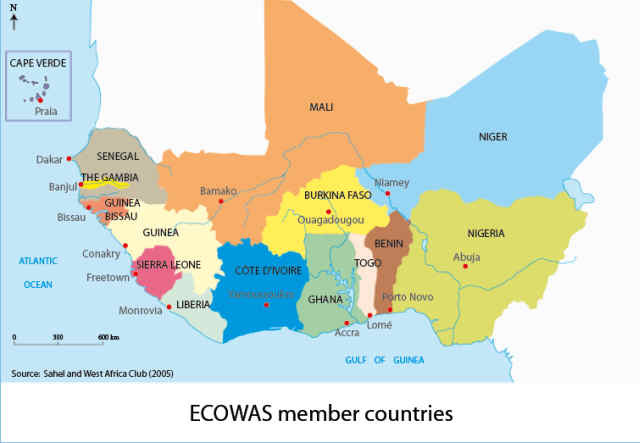 France, the UK, and US, and other NATO countries are happy to engage with the conflict in Mali one way or another. Their motives are all about resources and geopolitical fantasies, taking advantage of state failure, the chaos, and Mali’s weakness, to advance their national and corporate interests. They are unlikely to be able to control the results. The people of Mali are not simple pawns to be moved around at the direction of outsiders. Imperialists may think they are playing the great game. In the long run things are most unlikely to turn out as they desire or expect, especially when so many of their expectations are based on ignorance of country, people, and history. Unfortunately, far too many lives will be wasted and destroyed in the process. Captain Sonogo’s coup is an excellent example of unexpected consequences. It was an unexpected result of the realities on the ground in Mali, partially enabled by Captain Sonogo’s IMET training and ties with AFRICOM. Even in northern Mali, the people we call “the Tuareg” are a minority. Most of the people we call “the Tuareg” are black. The people we call “the Tuareg” are not united on anything, least of all separatism. The people we call “the Tuareg” have not been excluded from Mali’s government. Innocent civilians identified as “Tuareg” have been abused and murdered. I’m no expert on the Tuareg or northern Mali in general, and I don’t claim to offer any solutions. But I know three things. One, whatever the “Tuareg problem” is, an independent or autonomous state for “the Tuareg” is unlikely to solve it. Two, simplistic categories used to describe these people and their relations with neighboring groups actually keep us from understanding, let alone preventing, the race-based injustices that have occurred in Mali and throughout the region. And three, until Malians of all backgrounds can meet for open dialogue about the crimes they have endured — and carried out — they will continue talking past each other, and their divergent views of their common history will only grow further apart. This does not look like a problem that war is likely to solve. It is, as with so many governance problems in Africa and globally, a political problem that is being treated to a military solution that cannot solve, or even address, the real issues. This is not a neo-colonial offensive. The argument that it is might be comfortable and familiar, but it is bogus and ill-informed. France intervened following a direct request for help from Mali’s interim President, Dioncounda Traore. 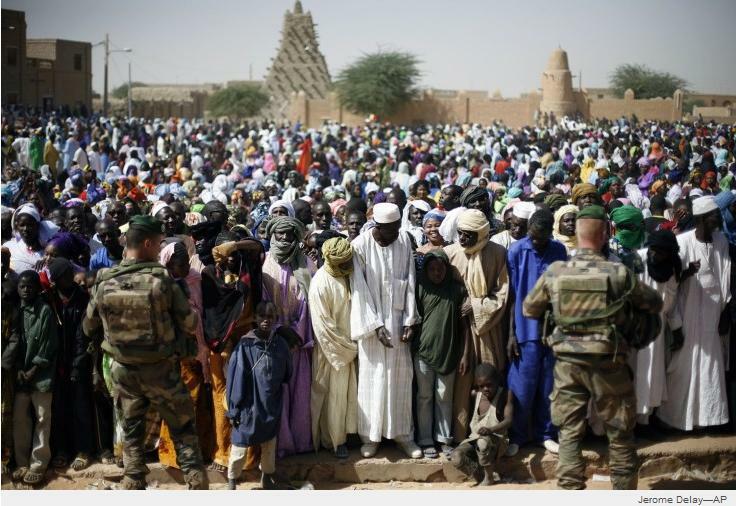 Most Malians celebrated the arrival of French troops, as Bruce Whitehouse and Fabien Offner have demonstrated. Every Malian I’ve talked to agrees with that sentiment. In contrast, the French client state Central African Republic asked for French intervention this year as rebels neared its capitol, but the French declined to intervene despite the precarious position of the CAR government and the proximity of rebels to the capitol. The French jumped into Mali, but avoided involvement in the CAR. 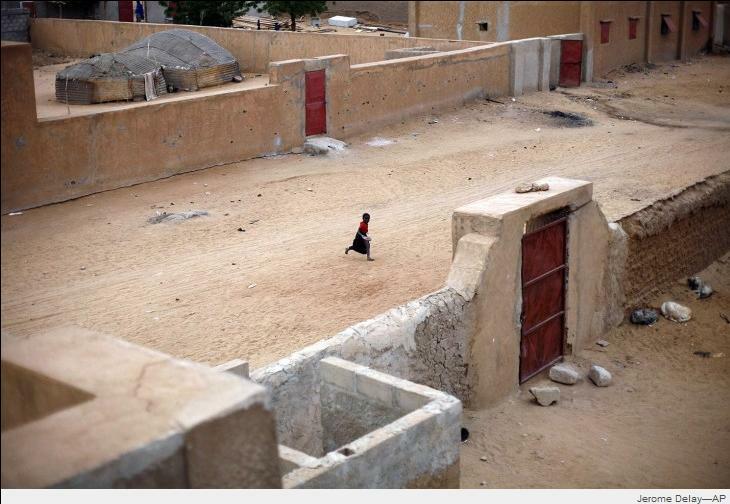 A young child runs through a deserted side street in Gao, northern Mali, on Jan. 28, 2013, the day after French and Malian troops secured a strategic bridge and the airport. 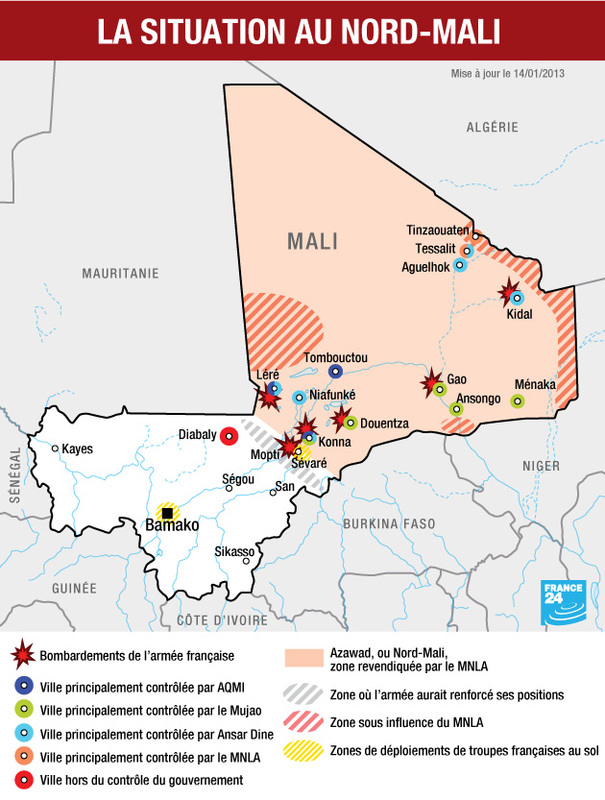 Pepe Escobar describes some of the geopolitical features of the conflict in Mali. With Mali now elevated to the status of a “threat” to the whole world, GWOT [Global War On Terror] is proven to be really open-ended. The Pentagon doesn’t do irony; when, in the early 2000s, armchair warriors coined the expression “The Long War”, they really meant it. Follow the gold. A host of nations have gold bullion deposited at the New York Federal Reserve. They include, crucially, Germany. Recently, Berlin started asking to get back its physical gold back – 374 ton from the Bank of France and 300 tons out of 1,500 tons from the New York Federal Reserve. So guess what the French and the Americans essentially said: We ain’t got no gold! Well, at least right now. It will take five years for the German gold in France to be returned, and no less than seven years for the stash at the New York Federal Reserve. Bottom line: both Paris and Washington/New York have to come up with real physical gold any way they can. That’s where Mali fits in – beautifully. 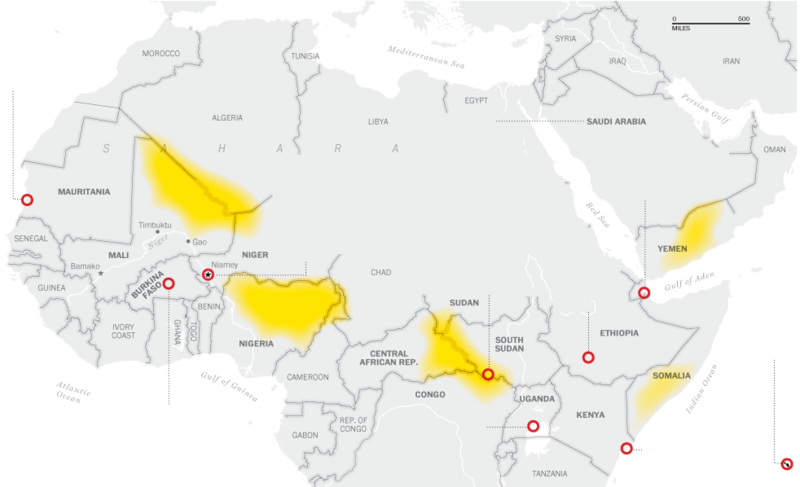 Mali – along with Ghana – accounts for up to 8% of global gold production. So if you’re desperate for the genuine article – physical gold – you’ve got to control Mali. Imagine all that gold falling into the hands of… China. Now follow the uranium. As everyone who was glued to the Niger yellowcake saga prior to the invasion of Iraq knows, Niger is the world’s fourth-largest producer of uranium. Its biggest customer is – surprise! – France; half of France’s electricity comes from nuclear energy. The uranium mines in Niger happen to be concentrated in the northwest of the country, on the western range of the Air mountains, very close to the Mali border and one of the regions being bombed by the French. The uranium issue is intimately connected with successive Tuareg rebellions; one must remember that, for the Tuaregs, there are no borders in the Sahel. All recent Tuareg rebellions in Niger happened in uranium country – in Agadez province, near the Mali border. So, from the point of view of French interests, imagine the possibility of the Tuaregs gaining control of those uranium mines – and starting to do deals with… China. Beijing, after all, is already present in the region. All this crucial geostrategic power play – the “West” fighting China in Africa, with AFRICOM giving a hand to warlord Hollande while taking the Long War perspective – actually supersedes the blowback syndrome. It’s unthinkable that British, French and American intelligence did not foresee the blowback ramifications from NATO’s “humanitarian war” in Libya. NATO was intimately allied with Salafis and Salafi-jihadis – temporarily reconverted into “freedom fighters”. They knew Mali – and the whole Sahel – would subsequently be awash in weapons. No, the expansion of GWOT to the Sahara/Sahel happened by design. GWOT is the gift that keeps on giving; what could possibly top a new war theatre to the French-Anglo-American industrial-military-security-contractor-media complex? Well-wishers gather to greet French President Francois Hollande during his two-hour-long visit to Timbuktu, Feb. 2, 2013. … it is, in fact, a stroke of genius on the part of Paris that France can be depicted as an enemy of the “villains”. I use this word deliberately because international politics often reminds me of a Hollywood movie in which the whole plot depends on us being conditioned to be on the side of the good guys. When you learn that narco-terrorists occupy two-thirds of Mali, and that they destroy mosques and the tombs of saints, set fire to the Ahmed Baba Library and cut off people’s hands, your first impulse is to approve of those trying to help innocents out of harm’s way. After Qaddafi was killed, under appalling circumstances, the French government believed the time had come to entrust the outsourcing of war against AQIM [al-Qaida in the Maghreb] and MUJAO [Movement for Unity and Jihad in west Africa] to the Tuareg rebellion. As Ibrahima Sene recently pointed out in his response to Samir Amin, Paris and Washington then decided to help the Tuareg in Libya return, heavily armed, to Mali – but, more interestingly, not to Niger, where they did not want to take any risk because of Areva [uranium mines]. The Tuareg were delighted to finally realise their dream of independence through the new state of Azawad, an ally of the west. Some French media were then asked to “sell” the project of the “blue men of the desert” who were willing and ready to go to war against Mali. Just take a look in the archives of France 24 and RFI … France clearly occupies the role of a pyromaniac firefighter. Everything suggests that the French will defeat the jihadists, but this victory will cost the Malians their government and their honour. BBD: I just want to say that this is the end of independence for Mali for a long time, and for its relative territorial homogeneity. It would be naive to imagine that, after having worked so hard to liberate the north, France will hand over the keys of the country to Dioncounda Traore and to the Malians and be satisfied with effusive farewells. No, the world does not work that way. France has put itself in a good position in the race for the prodigious natural resources of the Sahara, and it would be hard to imagine that the French will just drop the Tuareg rebellion, which has always been their trump card. There is an episode in this war that has gone unnoticed, yet deserves some consideration: the capture of Kidal. We initially conceded that Kidal was “captured” by the MNLA, which no longer has any military presence, and a few days later, on January 29th, French troops entered the town alone, not allowing Malian forces to accompany them. Iyad Ag Ghali, head of Ansar Dine, discredited by his affiliation with AQIM and MUJAO, is already almost out of the game and his “moderate” rival, Alghabasse Ag Intalla, head of MIA (Islamic Movement of Azawd) is in the best position to find common ground with Paris. As a matter of fact, after this military debacle, the Tuareg separatists are going to have political control over the north, something they have never had before. It’s a great paradox, but it is in the interest of the west that Mali has no hold over the northern part of it’s country. Traoré is already being pressured to negotiate with the moderate Tuareg backed by Paris, and it is unlikely that we are going to see a president as weakened as Dioncounda trying to resist Hollande. Whether we like it or not, the Arab Spring is completely detaching north Africa from the rest of the continent, and in some respects, the “new border” is northern Mali. This is a clear and coherent strategy that the west is in the process of implementing. SN: What did you think when you saw young Malians waving French flags? BBD: Some say it has been fabricated. I don’t agree. I think these pictures reveal the immense relief that the Malians feel. They are particularly disturbing images, and this is why should have the guts to confront them. The real question is not so much what we, as African intellectuals and politicians, should think of the French. More importantly, the question is how is it that our people are left in such a state of abandonment? The question that these images really raise for us is how is it that the French troops who occupied Mali for centuries as barbaric colonisers have come back 50 years later to be greeted as liberators? Does this not leave us seriously perplexed? What is Malian independence really worth? The outpouring of affection towards French soldiers is from the heart, but it is temporary. The real aims of the war will become clearer for Malians, and time will not be on the French’s side. Benign foreign forces don’t exist anywhere. 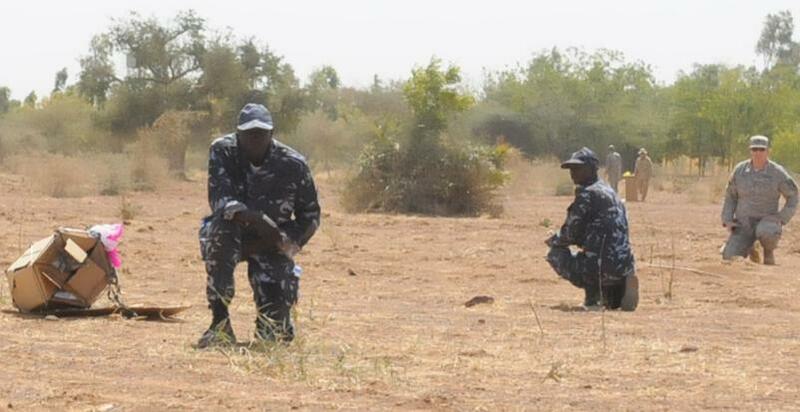 … it must be extremely hard these days to be in the Malian military. Here is a national army fighting in its own country, and its soldiers’ deaths do not even count, unlike that of the French helicopter pilot, Damien Boiteux, who was shot on the first day of fighting. All these humiliations will show Mali that a certain democratic comedy, aimed at pleasing foreign backers, is meaningless. Mali is a case study, cited everywhere as an example. Very little is needed for the country to collapse. We already see the mechanisms of exclusion in the works, and these create more and more murderers: All Tuaregs and Arabs will come to be seen as accomplices of jihadists or of the Tuareg separatist movement. Already aware of this danger, intellectuals like Aminata Dramane Traoré of Mali have repeatedly sounded the alarm in recent months, but nobody wants to listen. Relations between the different communities in Mali have always been fragile, and the threat of racial hostilities has never been as grave. … the procrastination of the African states has been rightly criticised, but you have to understand that it is ultimately suicidal for them to engage in a complex war with their bare hands. Yet this is precisely the criticism we can dole out to our countries: A failure to have the means to defends ourselves, collectively or individually. Gold and uranium are the handouts of particular interest in Mali, Algeria’s oil and independence are also of interest. The most obvious victim of this destabilization has been Mali. … disaster zones can be tolerated; strong, independent states cannot. … Like a classic mafia protection racket, the West makes its protection ‘necessary’ by unleashing the very forces from which people require protection. Now France is occupying Mali, the US are establishing a new drone base in Niger and David Cameron is talking about his commitment to a new ‘war on terror’ spanning six countries, and likely to last decades. The glaring contradiction between this pretext for war in Africa’s Sahel region and the line-up of these imperialist powers behind Al Qaeda-linked militias in the sectarian-based war to overthrow the Assad regime in Syria is passed over in silence by the media and the political establishments in all three countries. Behind the incoherence of the pretexts for imperialist intervention, the real forces driving it are clear. Washington finds itself being economically eclipsed in Africa by China, which has emerged as the continent’s leading trade partner. Increasingly in competition over strategic resources—West Africa is soon expected to account for 25 percent of US petroleum imports—US imperialism is relying on its residual military superiority to combat this economic challenge. 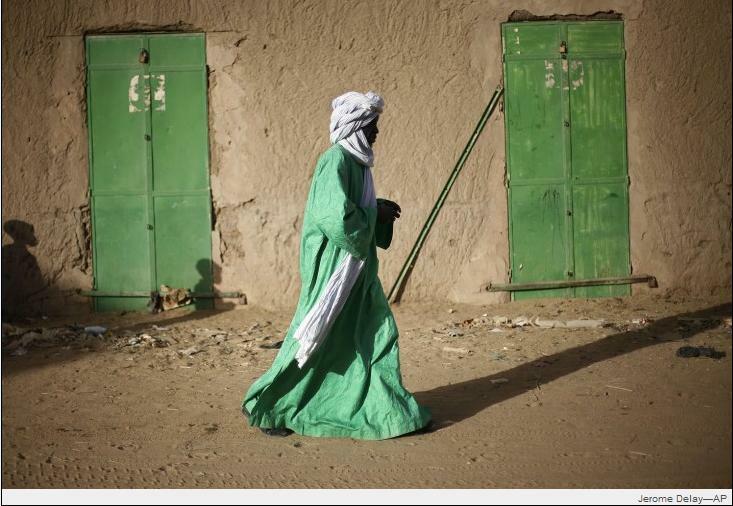 A Malian man dressed in green walks between green doors of closed shops in Gao, Feb. 5, 2013. In Foreign Policy Gordon Adams describes a Continental Shift in US policy towards Africa. U.S. engagement in Africa is shifting from a focus on governance, health, and development to a deepening military engagement. And while the Pentagon portrays this expanding military engagement as a way to empower Africans, it is actually building security relationships that could backfire, harming our long-term foreign policy interests. [T]he U.S. plans its security assistance programs in a strategy and policy void and, with a focus on “security” but not “governance,” they are largely implemented to meet the bureaucratic, regional, and program priorities of the Defense Department, in this case, Africom. The choice of countries, programs, and individuals to receive support in Africa is driven largely by the military — the regional combatant commander, the military services, and DOD policy officials. Gordon Adams is describing what I and others have been writing about since 2007 and before. The US choice to invest the money and attention it devotes to Africa on military development is to choose sides in the political process of the nations it engages. Africans want to move away from military governments. US national interests are not being served when the Department of Defense, DoD, bureaucratic, regional, and program priorities drive national foreign policy. The US military remains on the wrong side of history in Africa. There is a long US history of military assistance and covert intervention in Africa throughout the cold war and particularly in the lengthy US support for apartheid. In the course of those conflicts the US was party to the introduction of state sponsored terrorism into African conflicts. The US has been party to coups and assassinations against the most progressive and visionary of Africa’s leaders, including Nkrumah, Lumumba, and Sankara. US support for Savimbi and manipulation of the electoral process precipitated an extra decade of war in Angola. The US installed and maintained Mobutu in Congo, DRC, for decades of theft and misrule. The US arms and supports Rwanda and Uganda as they loot the Eastern Congo. It would behoove US long term interests in Africa to avoid looking like the leader among those who would recolonize the African continent. Mali’s current fractures make it vulnerable to military opportunism. France, the UK, and US (fukus) along with NATO and the GCC, are engaged in a short sighted Long War of neocolonialism. The base in Niger marks the opening of another far-flung U.S. military front against al-Qaeda and its affiliates, adding to drone combat missions in Afghanistan, Yemen and Somalia. The CIA is also conducting drone airstrikes against al-Qaeda targets in Pakistan and Yemen. Location of US drone and aerial surveillance bases in Africa, click to enlarge enough to read. A U.S. defense official, speaking on the condition of anonymity to provide details about military operations, said that the 40 troops who arrived in Niger on Wednesday were almost all Air Force personnel and that their mission was to support drone flights. The drones will be based at first in the capital, Niamey. But military officials would like to eventually move them north to the city of Agadez, which is closer to parts of Mali where al-Qaeda cells have taken root. The introduction of Predators to Niger fills a gap in U.S. military capabilities over the Sahara, most of which remains beyond the reach of its drone bases in East Africa and southern Europe. The Pentagon also operates drones from a permanent base in Djibouti, on the Horn of Africa, and from a civilian airport in Ethi o pia. The U.S. military has been flying small turboprop surveillance planes over northern Mali and West Africa for years, but the PC-12 spy aircraft have limited range and lack the sophisticated sensors that Predators carry. The United States is now carrying out surveillance all along the coasts of Africa and continually increasing surveillance from the air. The map above is just the beginning. There will be more political assassin robots flying in African skies. This is a very large graphic by Richard Johnson from Canada’s National Post. Click it a couple of times to enlarge enough to read. The reasons for the investment are along the bottom. The west depends on the wealth of Africa.